Chances are we already did this for you, unless you are really lucky (first generation boards). Then again, should you choose to rebuild everything to it’s defaults oem stage, this is the same procedure. This is what you would do after debricking your board as well (after a few other steps). The controller will reboot after the kernel upgrade – do not touch your controller until it reboots to avoid bricking it. Look at the system LEDs they should flash as the system boots. 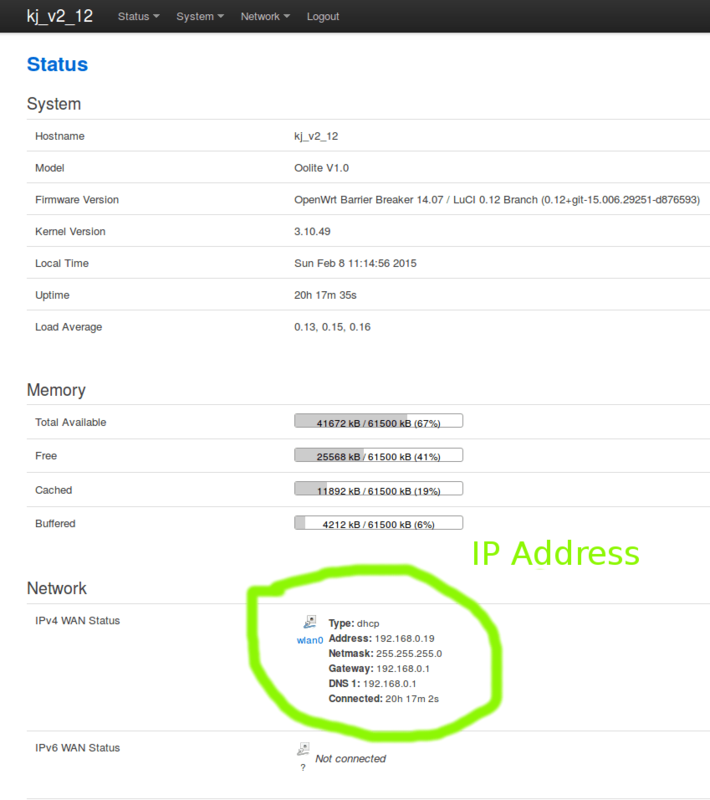 the controller should assign you an ip address in the 192.168.1.1 network (this can get confusing if your wifi access point is already configured on the 192.168.1.x network). for now, in this case, disable you computer wifi as you following these instructions to avoid ip address conflicts between the controller and your computer. the reason for this dance is because by default no password is set for root, and ssh/scp will not work without a password. so we have to connect with telnet first to create a root password, then we can use the more secure ssh tools. our computer things we are being hacked as we are connecting to two machines(old and new) that are the same machine! if all goes well, the controller should boot and it’s onboard 8 gpio LEDs should be flashing at a one second interval after it resumes. 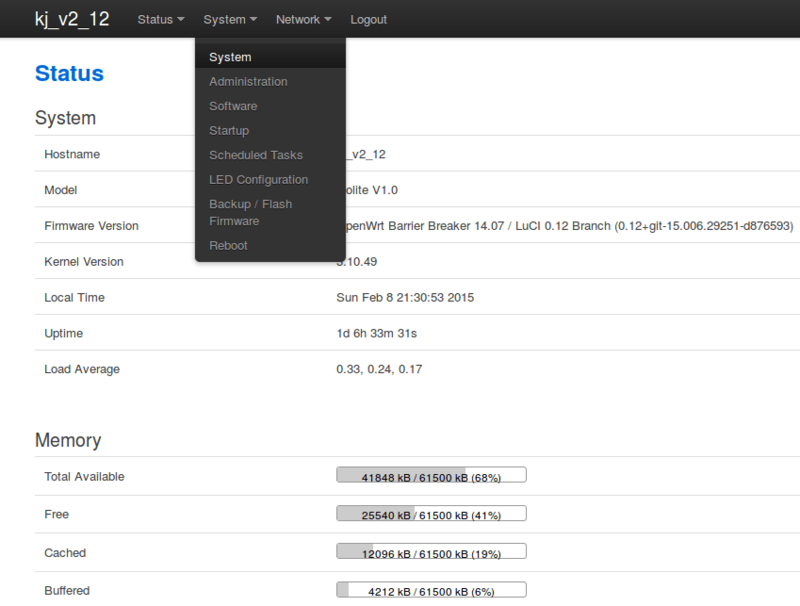 Openwrt is fun as it also include LuCi – a web user interface for embedded devices. 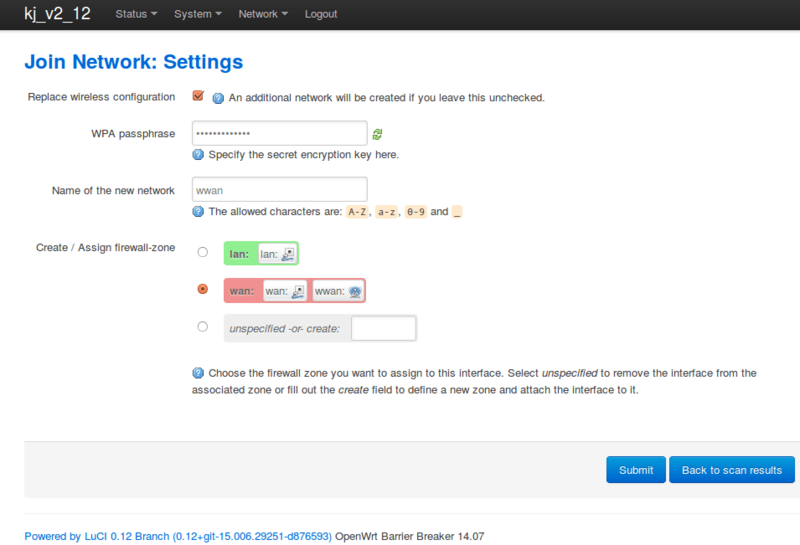 So system configuration is easy and does not involve command line processes. The WIFI screen shown below should open. 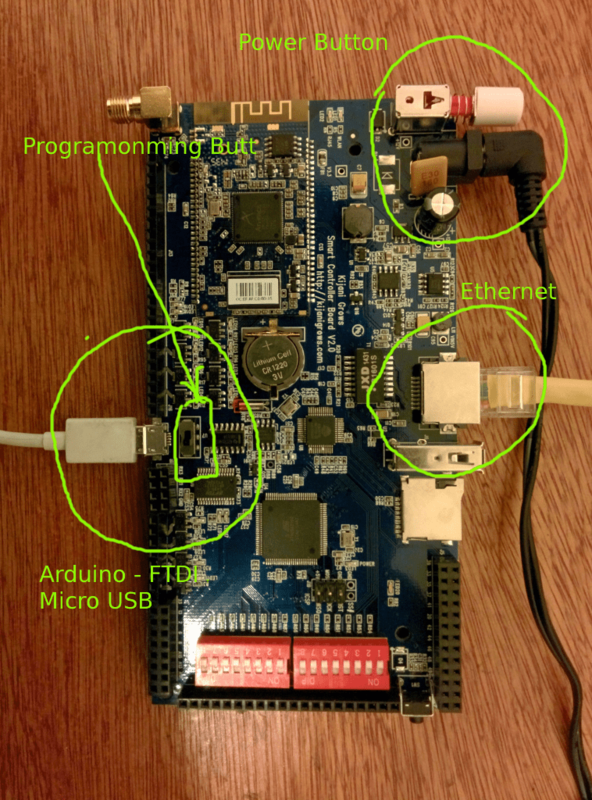 Normally, the arduino and linux communicate through the serial line UART0 with the programming switch on the 9331 side. 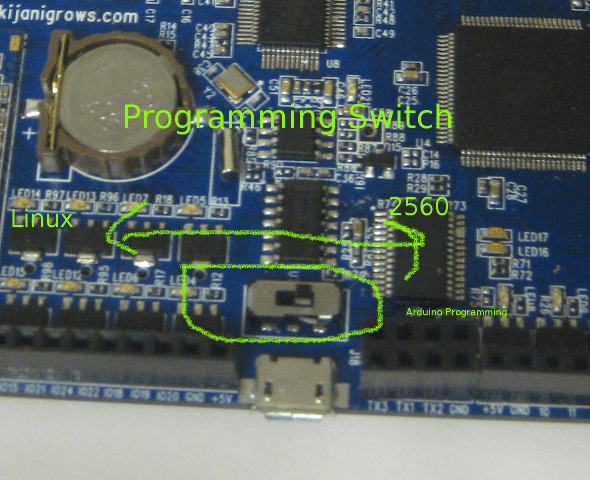 UART0 is also used to program the atmega 2560 but in this case with the switched flicked onto the 2560 as shown below. the microusb port on the v2 controller to the usb on your computer. compile and upload the arduino compatible sketch file to te 2560 using the arduino ide or Makefile. flick the switch back to the 9331 side. turn power off using the power switch then back on after a few seconds. If all goes well, your controller should started up with Leds flashing and scrolling. 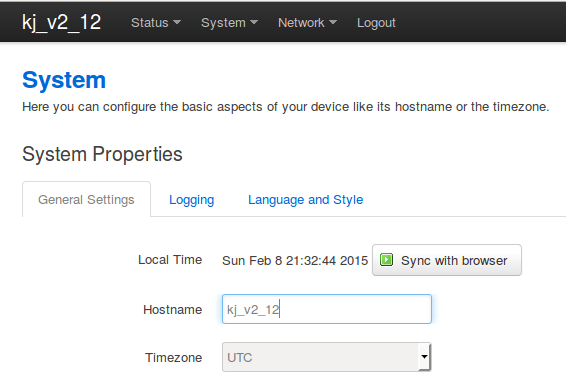 This time your data should be going to the remote server.